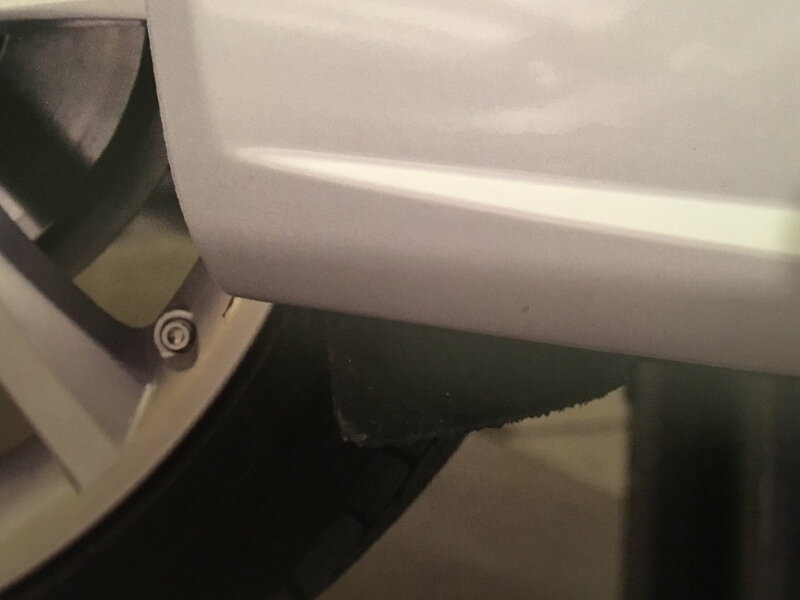 For Xmas I got Nigel Thorley‘s XK/XKR book (new edition including additional chapters on x150) and on page 202 he explains that some of the x150 models had small black plastic flaps at the end of the FRONT wheel arches under the car. In the provided pictures it is explained, the look like mini mud flaps and that they would be an important part of the car’s aerodynamic concept. They should not be removed. To be honest I never saw or noticed these flaps on any XKs I drove so far. My 2011 XK doesn’t have them. It is not the plastic wings under the car in front of the front wheels. It is also not the winglets on the 3 o’clock position that you find on 2012-2014 XKs model years. Does anybody know about this? Should my XK have them fitted? None on my previous 2010 XKR. I just looked under my 2009 XKR and didn't see any small black flaps in front of or behind the front wheel arches. North American specs are not identical to specs in the UK and ROW. It's possible that they were fitted to early X150 models and discontinued. 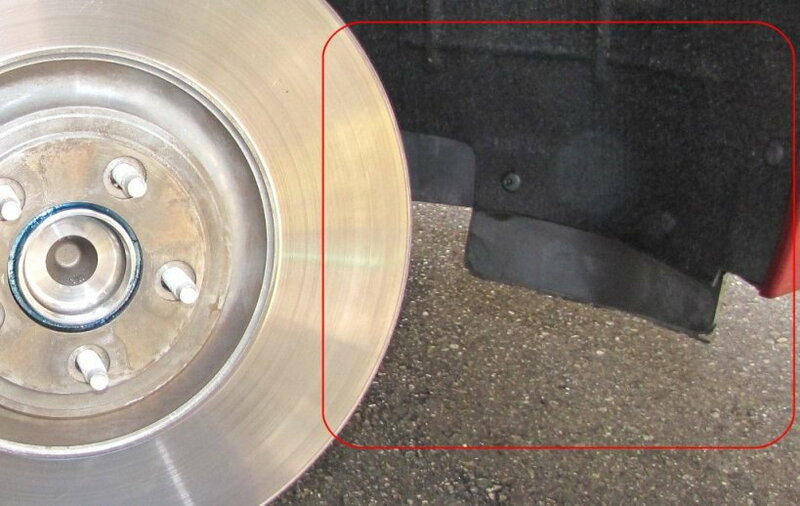 If you are referring to the small rear wheel-well extensions, they were stock only on cars with 20" wheels, to prevent paint chipping. My 2007 XK has flaps in front of the front tires, but nothing behind. Above the picture from the book, p. 202 (edit: I checked again, in my 2018 reprint of the New Edition it is indeed page 202). The book says there that these flaps should be situated under the edge of the front wing/sill area. Last edited by Ter11; 02-03-2019 at 07:43 AM. I feel shorted! I don't have any either. My Nigel Thorley book doesn't even mention mudflaps on page 202. What he talks about there are wheels and accessories. Perhaps you mean page 200 where there is a mention in the sixth paragraph and a photo of small rubberiised panels that are a "vitally important part" of the aerodynamics package. Furthermore, he states that they are on 5.0L vehicles. My guess is that they are in fact part of that package if it was included on the particular car. Also went back to pic of my 2010 XKR, and have them there too. Both cars have 19" rims... Maybe related? 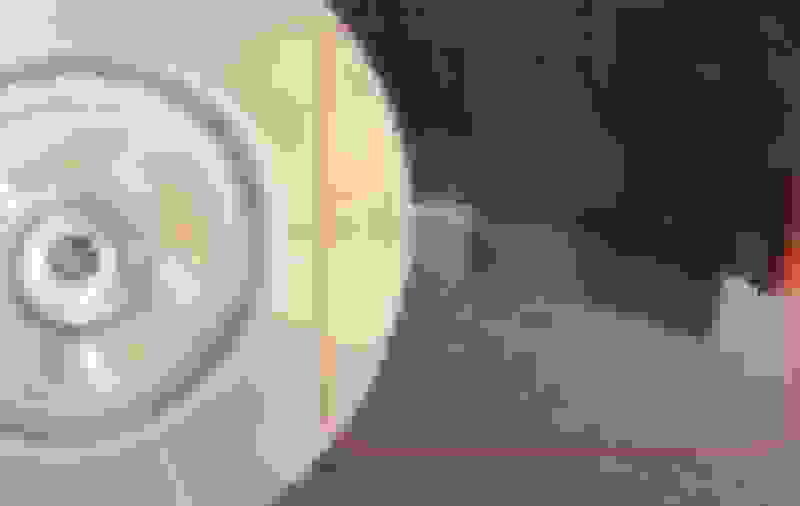 Last edited by CleverName; 02-02-2019 at 07:23 PM. I don`t see how they would have much if any effect at all, on the car`s aerodynamic concept. If I had to guess... It would be diverting airflow to the outsides of the tires? It seems pretty minimalistic, but there must be something or the engineers wouldn't waste production dollars designing, manufacturing and installing them. I'll look at my XK in the morning and see if it is 'flat-on' to the airflow, or if it is angled to deflect more in one direction or another. If it deflects to the inside, then it could be for added airflow across the rotors? Aren’t those the ones in front of the front wheels? The ones I am asking for in this thread are behind the front wheels, where the sill begins. Last edited by Ter11; 02-03-2019 at 07:45 AM. Yes they are in front of the wheel, just like the image you posed yesterday. I recall some thread about taking the rear mud flap, switching them about (R for L and L for R) and installing on the front. Did anyone here ever try that? And Yes, those very flaps are in installed on the undercarriage, front of my front tires. Car came with the 20" Sentas. I have the ones in front of the front, nothing at all behind the fronts. Also have the ones on the rear arches... 20" Nevis wheels. IIRC, flaps in front of tyres were placed after it was found that some of the salt mixtures that were being used to dissolve road ice and snow were glasing pads, making them less effective. The flaps apparently deflect that "water" away from the brakes. Most cars have them these days. My very late 2011 car doesn't have anything directly behind the front wheels. Do those that have them also have a flap in front of the rear wheels? The only “mud flaps” that I can find for the X150 are those fitted around the rear wheel arch. As Neil says, if anyone has “mud flaps” fitted to the front (rear of the front wheels) please post a photo. Colour Code Mud flaps or not? Are 2010/2011 XKs more reliable than 2007-2009 XKs? Quick Reply: Standard “Mini Mud Flaps” on XKs?